News — August at Build-A-Bear! Mix It Up with Monster Mixters! Calling all monster makers! 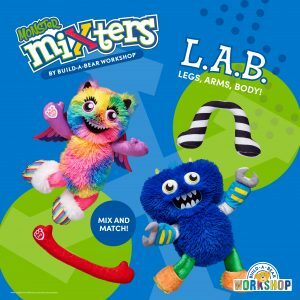 With the Monster Mixters collection at Build-A-Bear Workshop, it’s all about mixing it up and making it your own. Find Legs, Arms and Bodies in the Mixters L.A.B. and mix ‘n’ match your furry friend creation as you see fit – it’s a super fun way to express your inner monster! Visit Build-A-Bear Workshop to join the monstrous fun! All Systems Go – It’s Morphin Time at Build-A-Bear Workshop! You’re invited to join the morphinominal fun at Build- A-Bear Workshop! 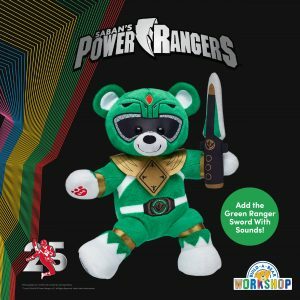 With its awesome built-in bodysuit, Power RangersTM Green Ranger Bear is a limited edition furry friend that blasts into stores just in time to celebrate the 25th anniversary of Power RangersTM! Plus, fans can power up by adding a plush Green Ranger sword that makes sound! 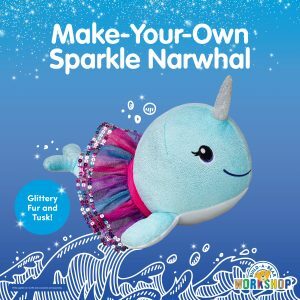 Make Your Own Sparkle Narwhal! With its shimmery tusk and glittery fur, the NEW Sparkle Narwhal at Build-A-Bear Workshop is making a magical splash! Narwhals are nicknamed the “unicorns of the sea” because of their long tusks. Guests can personalise their own Narwhal with outfits, sounds and scents to make it even more unique. This mystical furry friend is a cuddly sea creature that brings waves of magical fun everywhere it goes! You’re Invited to Bearemy’s Birthday Party CeleBEARation! We <3 birthdays! 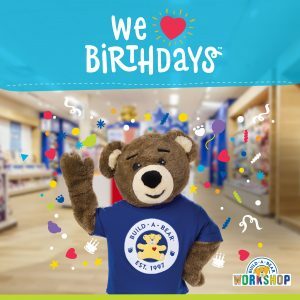 This month, Build-A-Bear Workshop is celebrating the birthday of someone beary special – their mascot Bearemy! Guests are invited to a one-day-only celeBEARation in honor of this special event on 25 August! Meet Bearemy in the Workshop and pose for a selfie – the birthday bear gives the best bear hugs you’ve ever had. In addition to cool party hats and fun sing-along songs, all Guests will receive an exclusive offer for a party at Build-A-Bear Workshop as a special party favour!